My father, whose occupation was a city firefighter, told me that he had never cut a dead person from an auto wreck who had been wearing a belt at the time of the crash. 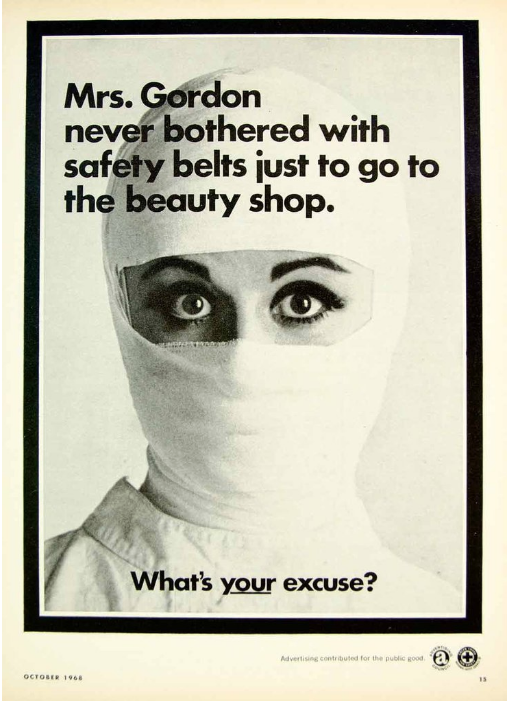 And that was back in the 1960's when restraining belts were becoming mandatory in autos. He also would tell us that it wasn't going through the windshield that was the worst part of the crash, it was the rebound back through the windshield that did the worst damage to you. Not to worry, Mrs. Gordon. The eyes have it.